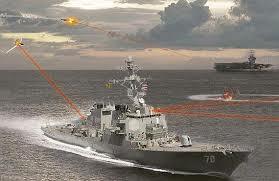 The U.S. Navy plans to put a laser weapon on a warship by 2021. The High Energy Laser with Integrated Optical-dazzler and Surveillance (HELIOS) system, or HELIOS, is a defensive weapon system designed to burn boats and shoot down unmanned drones. The weapon will go to sea with a guided missile destroyer assigned to the Pacific Fleet in two years' time, the Navy says. The service placed an order for HELIOS in January 2019. The $150 million contract, awarded to Lockheed Martin, calls for the company to deliver two systems. According to a company press release, one will go to White Sands Missile Range in New Mexico for testing. USNI News says the Navy will install the other on a Arleigh Burke-class guided missile destroyer. Russian Troops in Venezuela: A Syria-Like Proxy War in Latin America? WHY THESE ENGINES ARE BANNED ?